This high quality colorful anatomical chart presents information about common birth control methods, from natural birth control to surgical methods. Birth control methods that are not reliable are also discussed. 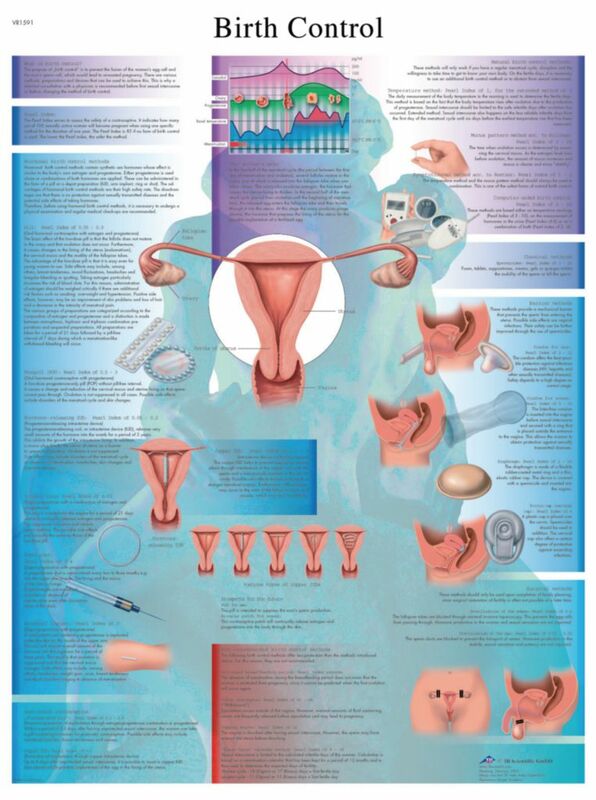 The anatomy of the birth control is illustrated when relevant on this educational anatomy poster.